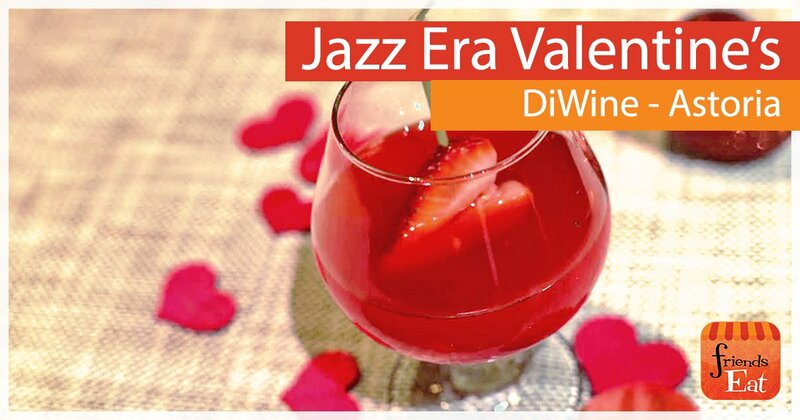 The most celebrated red wines, white wines, sparkling wines, and sweet wines all come from France, who has led the world in winemaking for centuries. 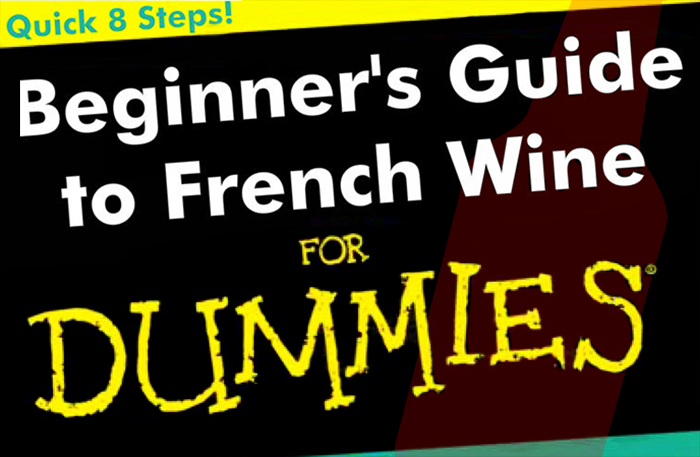 Learn about French Wines in 8 easy steps! 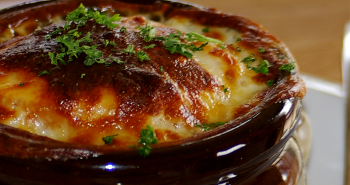 French wines are defined from the region where they came from! Different climates and temperatures result in varying flavor and alcohol content of wines. 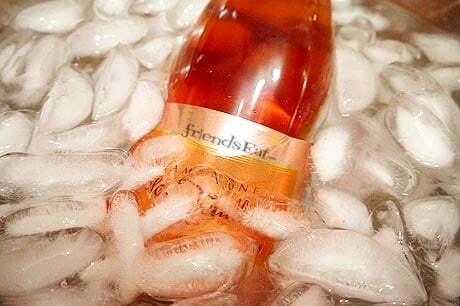 Many French wines are made in cool or temperate-climate regions — such as Bordeaux, Burgundy, the Loire Valley, and Champagne — while very little American wine is made in such cool climates. As cool-climate wines, French wines are lighter-bodied, lower in alcohol, and higher in acidity than warm-climate wines, such as many of California’s wines. These characteristics enable many French wines to accompany food more graciously than do the fuller-bodied, high-alcohol American wines. French are very particular in growing their grapes, even down to the littlest details like the condition and properties of the soil where the grapes are being planted. French wines generally very much reflect their terroir; in other words, they speak the characteristics of the particular location where their grapes grew. Many American wines, especially the less expensive ones, speak the language of their grape variety: Trueness to the varietal character is their main goal. When winemakers refer to terroir, they’re addressing the various elements that influence the vine, including the type of soil it’s growing in, the slope and elevation of the vineyard, and the climate. 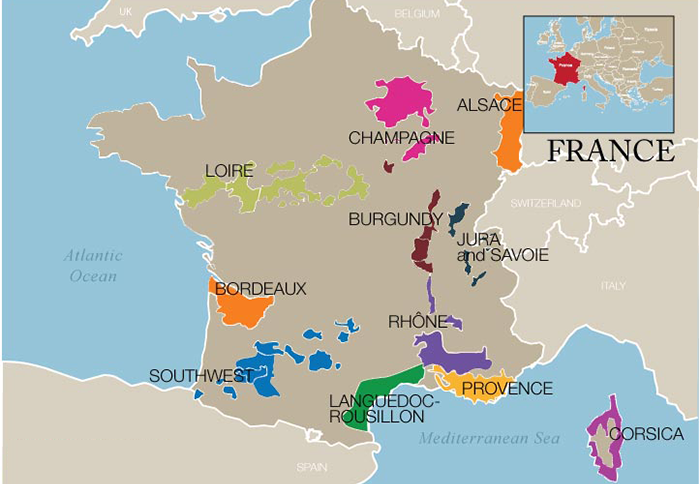 In order to develop a fundamental understanding of French wines, it’s important to become acquainted with the famous wine-growing regions in France. With the number of appellations in France too numerous to mention, we’ve highlighted 5 wine-growing regions and their descriptions, there are more grapes and regions in France but these will give you a start. Burgundy Wines in a nutshell: Red is Pinot Noir and White is Chardonnay. When someone says “red Burgundy,” they’re talking about Pinot Noir. And when they say “white Burgundy”, they mean Chardonnay. But as with most French wines, you won’t see those grapes on the label, so it’s worth getting to know a bit about the famous wine-growing regions of Burgundy: there’s Chablis in the north, the Cote d’Or between Dijon and Lyon, Cote Chalonnaise, the Mâcon, and Beaujolais. Most wines from Burgundy are split into four major tiers of quality. Regional wines (which are just labeled, say, Bourgogne Rouge, Bourgogne Blanc, or Cremant de Bourgogne) are at the base, made from grapes sourced anywhere in Burgundy. As the prestige goes up, you’re getting grapes from a more and more specific area. Next up from regional wines are those specific to one village, then wines sourced from premier cru vineyards, and finally, the top classification is for wines from the most prestigious sites, called the grand cru vineyards. 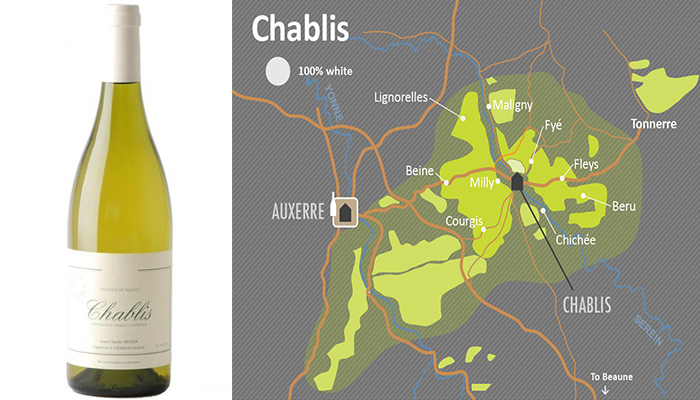 Northern part of Burgundy is Chablis, where their main product is produced using Chardonnay. Chablis, the northernmost part of Burgundy, is famous for white wines made from Chardonnay. If the label says Appellation Chablis Contrôlée, the wine will generally be fresh with a chalky, oyster shell-like minerality—many of these wines are not aged in oak barrels. 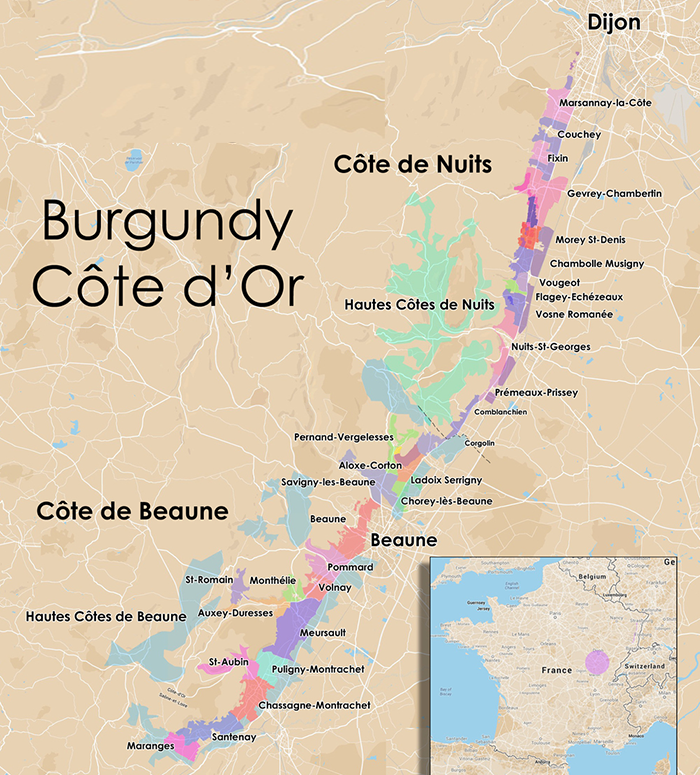 The Cote d’Or is made up of two main regions, Cote de Nuits in the Northern area, and Cote de Beaune in the south. 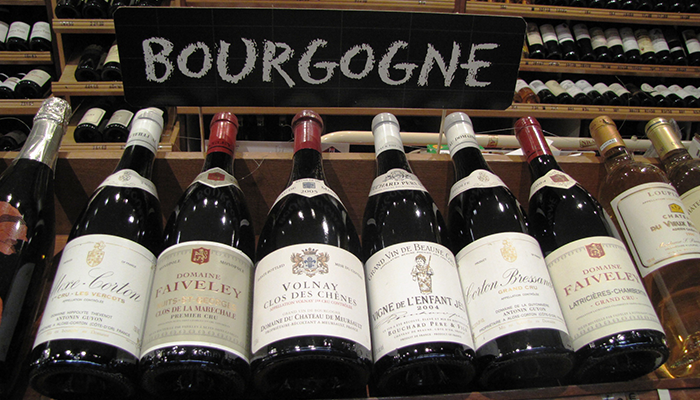 Cote de Nuits is more known for its Pinot Noir and the Cote de Beaune is famed for its Chardonnay. Cote d’Or is made up of two main regions: Cote de Nuits in the Northern area, and Cote de Beaune in the south. Moving south, you will find two regions that serve as excellent (and often more affordable) introductions to the wines of Burgundy: the Cote Chalonnaise and the Mâcon. You’ll find great deals in Pinot Noir from Givry or Mercurey. For Chardonnay, look for Pouilly-Fuissé, St-Véran, or Rully. 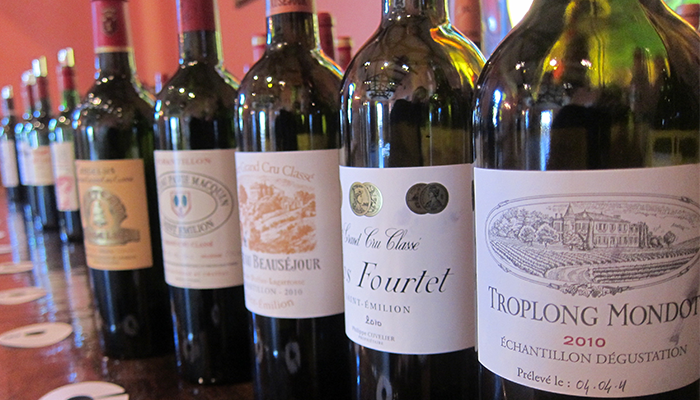 Wines from Bordeaux are almost always a blend of different grapes. Wines from Bordeaux are almost always a blend of different grapes. If you’re buying red wine, it might include Cabernet Sauvignon, Merlot, Malbec, Cabernet Franc, and/or Petit Verdot. What’s the dominant grape in the blend? It depends on where the bottle is from. The Left Bank, on the west side, includes the Medoc and Haut Medoc (north of the city of Bordeaux) and Graves (south of the city). The famous villages of St. Estephe, Pauillac, St. Julien, and Margaux are all in the Haut Medoc. The Graves region to the south of the city includes Pessac-Leognan, home of the renowned Chateau Haut-Brion. The blends for wines from the Left Bank are generally dominated by Cabernet Sauvignon, while blends from the Right Bank—the east side, which includes St. Emilion and Pomerol—are more focused on Merlot. Between the two branches of the river-‘Y’ shape is a region called Entre Deux Mers, known for its white wines made from Sauvignon Blanc, Semillon, and Muscadelle. You might have heard the terms ‘first growth’ or ‘second growth’ in relation to fancy wines from Bordeaux. These classifications come from a ranking system from way back in 1855 when the wine estates of the region were ranked in order of quality from ‘first growth’ to ‘fifth growth’. 160 years later, some of the top wines are still truly mind-blowing….and expensive. 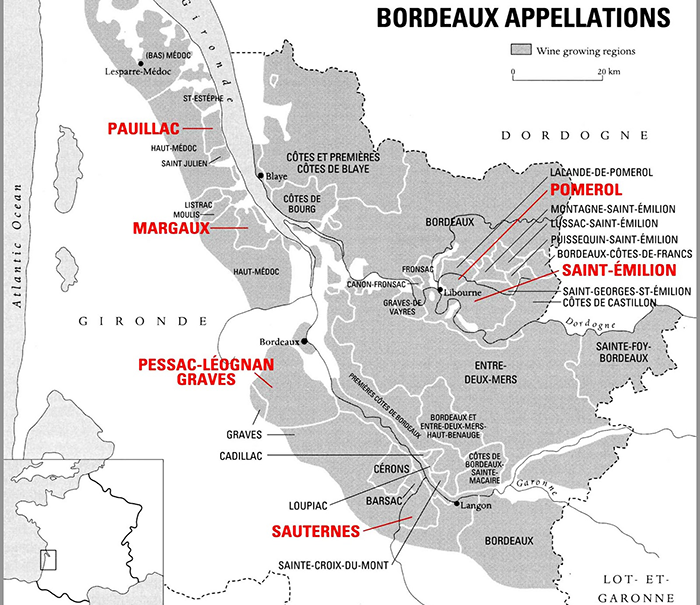 Unlike in Burgundy, the classification in Bordeaux is based on the producer, not the specific piece of land where the grapes are grown. FUN FACT: In the High Middle Ages, the wines of the Loire Valley were the most esteemed wines in England and France, even more prized than those from Bordeaux. The wine regions near the Loire River can be thought of in four sections: The Pays Nantais, Anjou-Saumur, Touraine, and the Central Vineyards. Let’s start at the ocean, shall we? The Pays Nantais (named for Nantes, the largest city in the area) is the closest to the Atlantic and famous for Muscadet, an oyster-loving white wine made from the Melon de Bourgogne grape. Traveling east from the Pays Nantais, we come to the Anjou-Saumur and the Touraine. The white grape Chenin Blanc and the red Cabernet Franc are the most common here. We love the dry Chenin Blancs from Savennières, as well as both the dry and sweeter examples of the grape made in Vouvray. If you’re looking for Cabernet Franc, seek out red wines from Chinon and Bourgueil. While also found in the Bordeaux blend, on its own, Cabernet Franc expresses itself with black cherry, herby green vegetables, and plenty of potting soil. 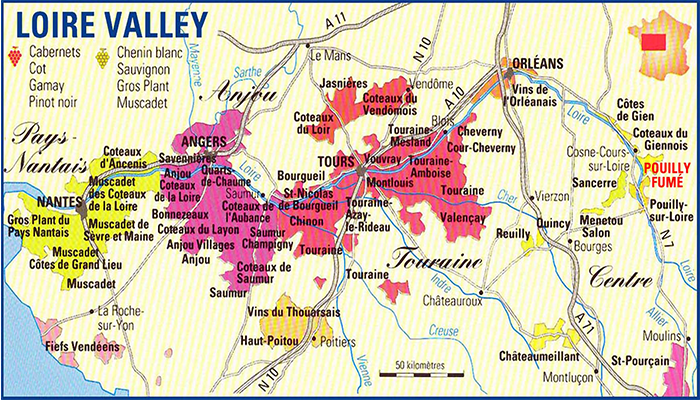 You’ll also find peppery, tangy, and bright Pineau d’Aunis in Anjou and Touraine. 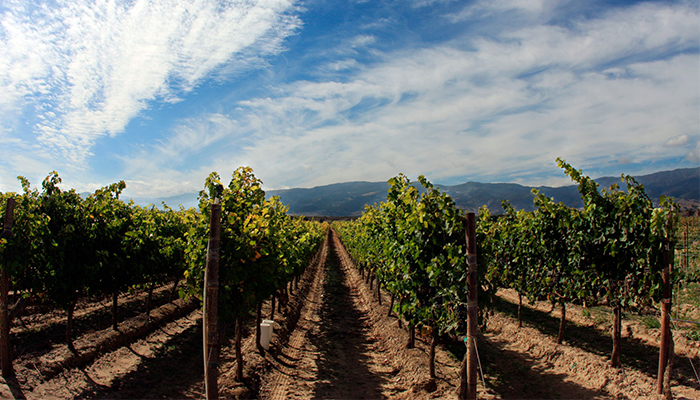 The Central Vineyards are known mainly for their Sauvignon Blanc. The appellation of Sancerre is the most well-known and often the most expensive. 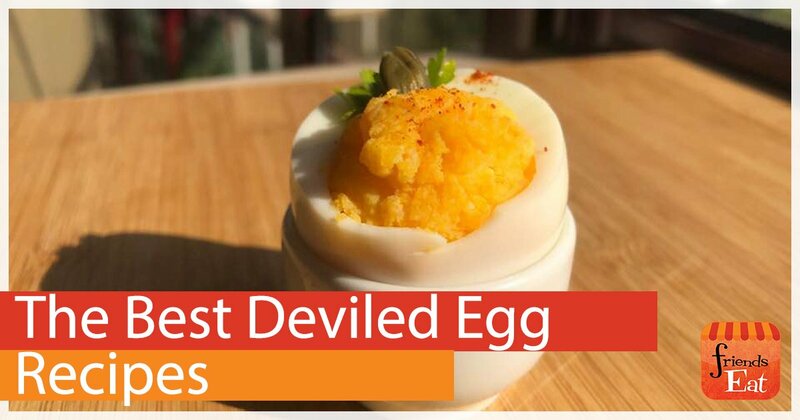 Its neighbors can provide a great entry point with the same tart, sometimes grassy expression. 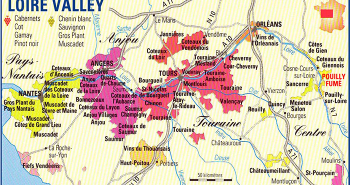 Look for wines from the adjacent appellations of Menetou-Salon and Pouilly-Fumè, or the nearby Reuilly and Quincy. FUN FACT: Rosé wine currently accounts for more than half of the production of Provençal wine, with red wine accounting for about a third of the region’s production. When we think of Provence, we first think of rosé. They make a lot of it here, usually a blend of Grenache, Syrah, Cinsault, and Mourvèdre that pairs perfectly with sunshine and beach umbrellas. 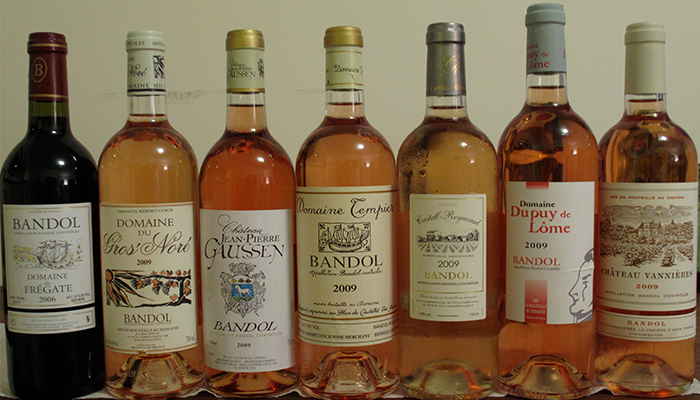 But there’s more to Provence than just these lovely, dry pink wines: if you’re looking for reds, look to Bandol. 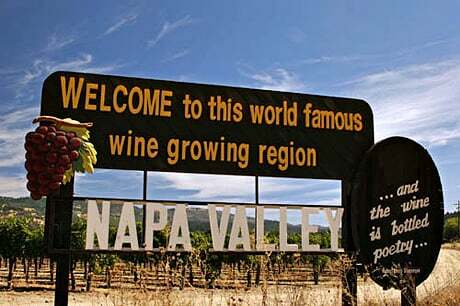 This region sits along the coast and produces mostly red wines from a blend dominated by Mourvèdre. Producers in Bandol also tend to make exceptional rosé wines from younger vines that aren’t quite ready to be used in red wine. You might have heard of Châteauneuf-du-Pape or Hermitage: those appellations are in the Rhône. The Rhône River starts up in the Alps and flows down through Valence and Avignon, ending in the Atlantic Ocean in the area near Marseille. The area is generally split into two main parts: the Northern Rhône and the Southern Rhône. The Rhône wine region in Southern France is situated in the Rhône river valley and produces numerous wines under various Appellation d’origine contrôlée (AOC) designations. When you think Northern Rhône, think Syrah. The grape finds its most peppery, meaty expression on the steep hillsides that line the river. A good way to get into these wines is to try St. Joseph or Crozes-Hermitage, but even these can be a bit pricey. Some talented producers make wines under the humble Vin de Pays Collines Rhodaniennes, and these can be delicious and extremely affordable. You’ll also see white wines made from Viognier grapes in this area. 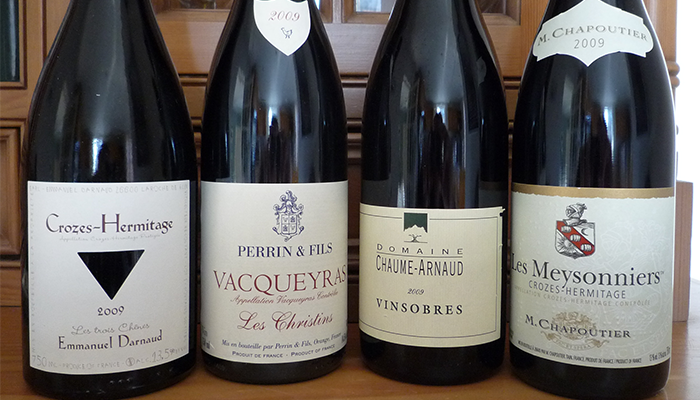 The sunny Southern Rhone is all about the blend, with Grenache leading the charge. They’re usually “GSM,” shorthand for Grenache, Syrah, and Mourvèdre. 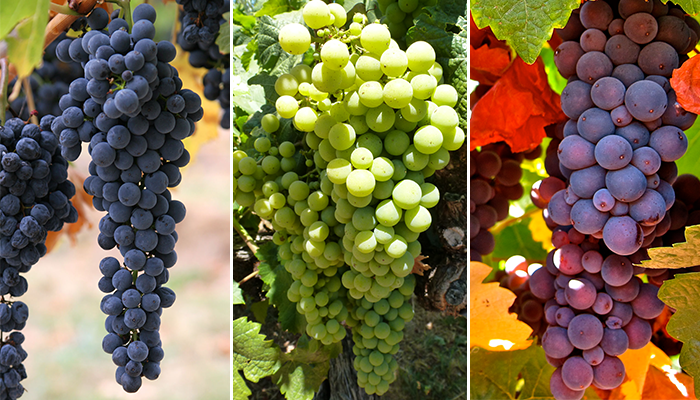 Other grapes, such as Cinsault and Counoise, also make an appearance and in fact, thirteen different grapes are allowed in the blend for Châteauneuf-du-Pape. The white wines are often blends of Grenache Blanc, Marsanne, Roussanne, and Viognier, though a few other grapes are also allowed. The Rhône wines you will most often see in a wine shop or on a wine list will say Côtes-du-Rhône on the label. 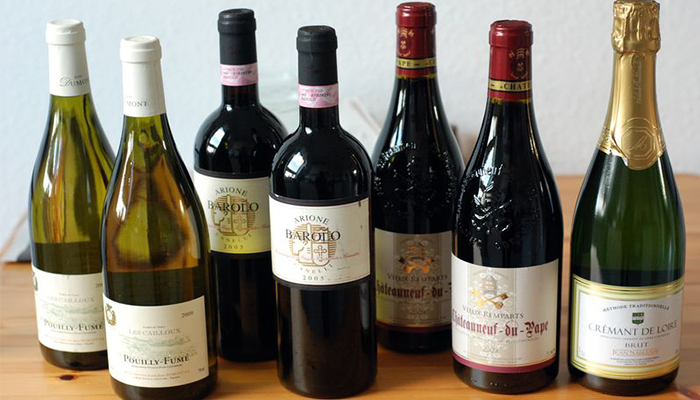 These, too, are likely to be GSM blends, sometimes including Cinsault, Carignane, and Counoise. If you want to take one step up from the basic Côtes-du-Rhône wines, look for one of the 18 villages that are allowed to add their name to the label. (You’ll often see Visan, Sablet, and Cairanne.) Gigondas, Vacqueyras, Beaumes-de-Venise, and Vinsobres often offer a bit more quality; they used to be under the Cotes-du-Rhone name, but have been elevated and now stand on their own as appellations. 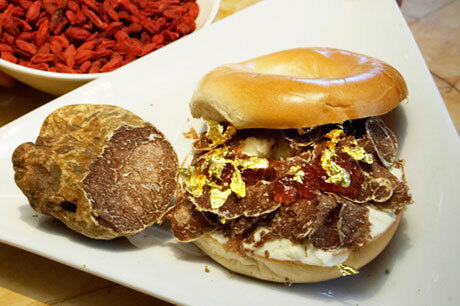 $1,000 for a Bagel? How About $16,000 For a Meat Pie?